Late Track Submission is open until 24th February! Check out the Call for Papers. Pim Cuijpers is Professor of Clinical Psychology at the Vrije Universiteit Amsterdam (The Netherlands), and Head of the Department of Clinical, Neuro and Developmental Psychology. Pim Cuijpers is specialised in conducting randomised controlled trials and meta-analyses on prevention and psychological treatments of common mental disorders. Much of his work is aimed at prevention of mental disorders, psychological treatments of depression and anxiety disorders, and Internet-delivered treatments. He has also published on a broad range of subjects in the field of clinical psychology, including psychoeducational treatment and early interventions, psychotic disorders, caregivers of dementia patients and bibliotherapy. Pim Cuijpers has published more than 800 peer-reviewed papers, chapters, reports and professional publications, including more than 600 papers in international peer-reviewed scientific journals (more than 150 as first author). According to Thompson Reuters, he is one of the “most influential scientific minds” and is listed since 2014 in the “top 1% cited scientists in the area of psychiatry and psychology” (http://highlycited.com). 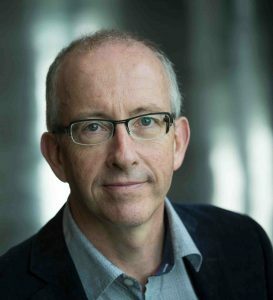 According to Expertscape, an organisation that ranks researchers by their expertise in biomedial topics, professor Cuijpers is the world’s number one top expert on depression, as well the number one top expert on psychotherapy. Wide experience in national and international research projects. Her main line of research is the application of new technologies to Clinical Psychology for the treatment of mental disorders and promoting wellbeing. 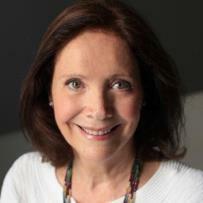 Her team is pioneer in the use of virtual reality and augmented reality techniques, and in the design and application of telepsychology systems for the treatment of different mental disorders. Member of the editorial board of more than 20 scientific journals, as well as external evaluator in many prestigious scientific organizations. Member of many scientific and professional societies, committees and academic posts such as the Comisión Nacional de la Especialidad de Psicología Clínica and member of the Consejo Asesor de Salud Mental de la Comunidad Valenciana.